15 Nov 2017 – A profoundly alarming trend in the cultivation and production of opium in Afghanistan reveals an 87 per cent production increase compared to 2016, the United Nations Office on Drug and Crime (UNODC) said today in its Afghanistan Opium Survey 2017. “It is high time for the international community and Afghanistan to reprioritize drug control, and to acknowledge that every nation has a shared responsibility for this global problem,” said UNODC Executive Director Yury Fedotov. 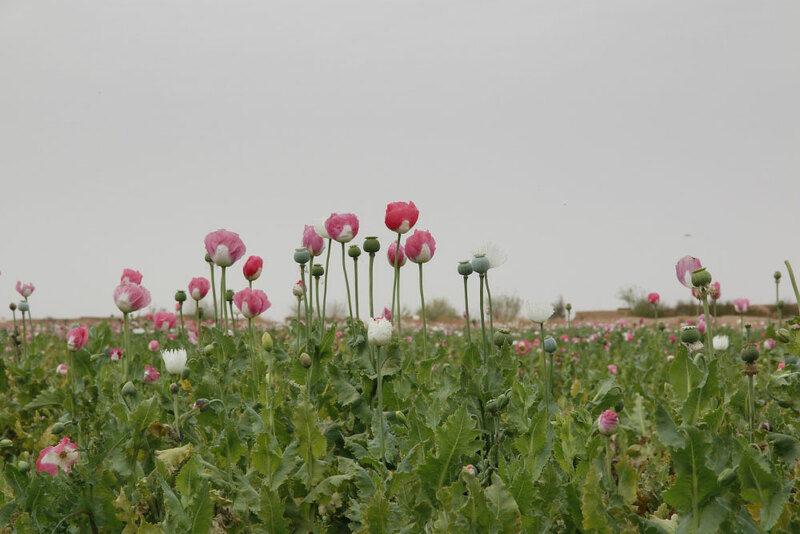 According to the latest figures released by the Afghan Ministry of Counter Narcotics and UNODC, in addition to an 87 per cent jump to a record level of 9,000 metric tonnes in 2017, the area under opium poppy cultivation also increased to a record 328,000 hectares in 2017, up 63 per cent compared with 201,000 hectares in 2016. “For both Afghanistan, and the world, we are heading towards uncharted territoryAdditionally, the number of poppy-free provinces in the country decreased from 13 to 10 – and after more than a decade, Ghazni, Samangan and Nuristan lost their poppy-free status. The number of provinces affected by cultivation increased accordingly from 21 to 24. “These frightening figures should give considerable pause for reflection on whether the calculus on the illicit drugs flowing from Afghanistan adds up to a workable and achievable solution,” he continued, again urging the international community to revisit its engagement with Afghanistan, and to acknowledge that fresh assessments and policy revisions may be necessary. Gains on governance and transparency in Afghanistan and surrounding countries will also be challenged by more instability, insecurity, and increased funding to terrorist groups. “New actors and markets are likely to emerge; some of these new actors may be terrorist groups attempting to use the drug trade to finance their global operations,” Mr. Fedotov explained. Far greater amounts of opium in the world’s consumer markets would increase health and social problems – also placing added burdens on already stretched Afghan public health services. The Executive Director called opium cultivation and production “a complex development issue and bound to the 2030 Agenda on Sustainable Development,” for which partnership and coordination is also needed. “UNODC has created initiatives-including the Triangular Initiative, the Paris Pact and the networking the networks activity-to assist, but engagement must be stepped up to increase effectiveness,” he stated.